Audio-Technica has unleashed its new ATH-DSR9BT wireless over ear headphones at CES 2017 - to the reception of a CES Innovation 2017 award. The Bluetooth aptX HD-enabled cans use Audio-Technica’s new Pure Digital Drive system to ensure the original audio signal stays completely digital from source to driver. The result, it claims, is unprecedented sound performance. Using a specially designed Trigence Semiconductor Dnote chipset the headphones process complex digital signals without the need for analogue conversion that can degrade sound. Yup, say goodbye to the old DAC. 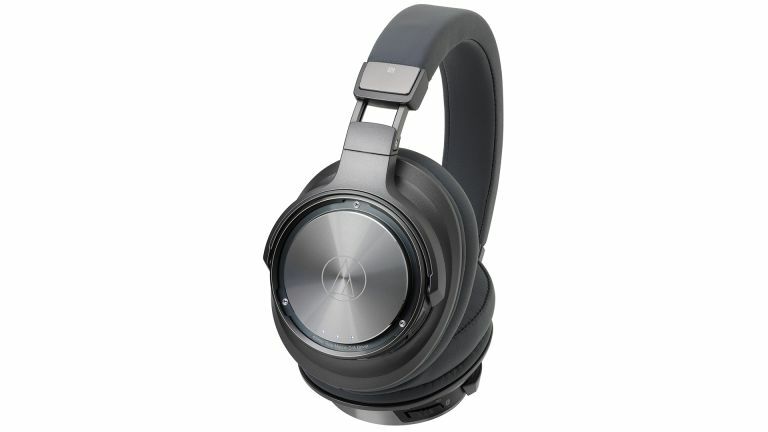 The headphones support aptX HD, AAC and SBC up to 24-bit/48kHz over Bluetooth or using a USB connection up to 24-bit/96kHz audio. The cans also come with NFC for easy pairing with smartphones. A lightweight but rigid build keeps unwanted vibrations at bay while memory foam cushioning takes cares of the comfort for long listening sessions. The headphones also feature LED lights to indicate when paired, which codec is in use and battery life status. The Audio-Technica ATH-DSR9BT headphones will be available from February 2017 for £499.